Yay, finally I got my first 5 star review for 2017! I began to ask myself if I choose the wrong books or if I became over-critical. I read a lot of books which everybody was raving about and I felt like “meh, what’s that fuss about”. I really feared that I would not like this book as well. But it was quite the contrary. I really enjoyed this one. The story is about two young girls who disappeared a year ago during a beach party. Megan was found two weeks later. She has almost no memory of the time she was held captive in a bunker because of heavy drugging. Nicole, the other girl, is still missing. Megan wrote a book and became a little bit of a celebrity. But nobody speaks about Nicole. Nicole’s sister Livia is a forensic intern. She fears the day her sister may show up on her table. But instead the body of a young man comes onto her table. His case is a bit complicated. And it gets even more complicated when she learns that he knew her sister. 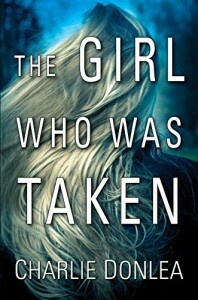 Livia starts her own investigation and slowly she begins to unravel the mystery about the abductions. I don’t want to say too much about the story. At first it was a bit slow but you can see how thoroughly the author builds his story and the characters. With every page it gets more fascinating and unputdownable. It is a dark and disturbing story. There are a lot of strong characters. The author does a terrific job developing the complex story and bringing in a lot of details and information. I liked the insight of the forensics; that was quite interesting. I also liked the ending, as sad and sudden as it is. This was my second book from Charlie Donlea but certainly not my last one. I liked “Summit Lake” but I loved this one. It’s a terrific and mind-bending read and would highly recommend it. I’d like to thank Kensington Books and NetGalley for giving me an advanced ARC in exchange for an honest review.